Step-by-step action plan to safely advertise on Google without getting your Google accounts blocked or shut down. How to set your website, social media, and Google accounts correctly. Extra steps you can take to ensure approval. 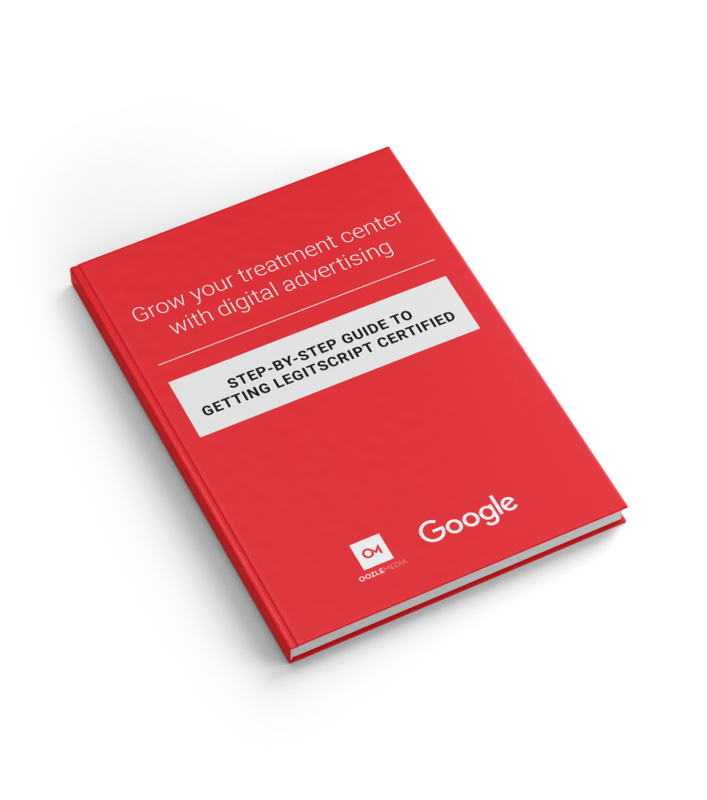 Ready to advertise on Google? Fill out the form and claim your simple guide to get started! 80% of treatment centers are currently not certified. This time in the market is less competitive now tan it will be. It can be easier than ever to attract leads for you on Google. There has been a 58% decrease in the cost per click from years previous. It's less expensive to advertise on Google. The number of queries for treatment centers has gone up 4% between 2017-2018. Where Should We Send the Free 13 Page Guide? Oozle Media is a full service digital marketing company offering services such as search engine optimization (SEO), pay-per-click (PPC), social media, website design / development, and call tracking / recording. We specialize in performing these services for many different verticals. We offer free audits to those interested in getting a second opinion on their marketing. We'll look at your website, social media, competitors and other forms of marketing you're doing and tell you what we see is good, and things you should consider to improve upon. Schedule yours today!